Breandán Mac Liam, the strapping young hunter from Ireland’s lush forests, is in love with Mara, an ineligible beautiful princess. For seven long years, he has been vividly haunted by her memory, taunted by the throes of his heartache. And not even the thought of her marriage to a Northman can extinguish the fierce, burning desire running rampant through his heart and soul. Mara, the spirited Connacht princess, has no idea she is the object of the Irishman’s longing. She is living out her days on Inis Mór, raising a troubled son and trying to endure the cruel loneliness that afflicts her. Ordered by the king on his deathbed, Breandán must return to Mara and bring her through the perilous lands of Connacht to fulfill her father’s last dying wish. But as their worlds collide, Breandán not only finds himself wrapped in the arms of Mara’s embrace, but thrown into a struggle to defend his honor. With Mara caught between the family she loves and the father she knows, can Breandán uncover the mystery of her past and still protect her from a secret that threatens them all? "This is one fantastic historical. This is the second book in the Emerald Isle Trilogy and I am definitely going to go back and read the first one. Readers are transported back in time to a lush green land surrounded by beautiful rocky shores with imagery that practically surrounds you. Breandán is a perfect hero; from the beginning of the story there is no doubt as to the strength of his feelings toward Mara. He is hardworking and steadfast. He is perfect husband and father material, I wonder if he has any descendants I can look up? Mara truly is a princess and such a devoted mother. In all honesty I was expecting to feel some animosity towards her for the desperation she has led Breandán to but she never intentionally hurt him and my resentment disappeared before it had a chance to solidify. The secondary characters are as well-developed as the hunter hero and his royal lady. The story is vivid and the historical detail so impressive without bogging the plot or action down. It comes alive and winds its way into your heart. This is a must-read for anyone who enjoys historical romance and I cannot wait to read the final book of the trilogy as this story has stayed with me days after I read the last word." "Much of this story is about choices and remembering the simple pleasures in life that sometimes get taken for granted as well as resolving to learn from past mistakes and then do better. I will admit to being skeptical that this story would capture me as much as the first had, but I was blown away by the awesomeness that is Mac Liam. Ms. Vincent surpassed all of my expectations with her impressive writing abilities, while offering more incites and revelations that will keep readers coming back for more. Readers should be warned of the emotional turmoil they will face once again while reading this incredible story. I eagerly anticipate the next story in this trilogy, yet already mourn the finality." "Mac Liam is a story filled with dark intrigue and surprising twists. Ms. Vincent captures our hearts with beautiful dialogue of surprising tenderness. Mac Liam is filled with scenes so vividly painted by Ms. Vincent, we feel we are there. With historical accuracy, she takes the reader away into an exciting time and place and tells a heartrending story of two people struggling to find happiness." 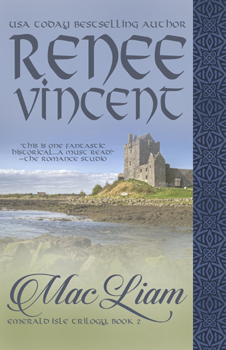 "Mac Liam, the second book in the EMERALD ISLE TRILOGY, is a delightful historical romance. 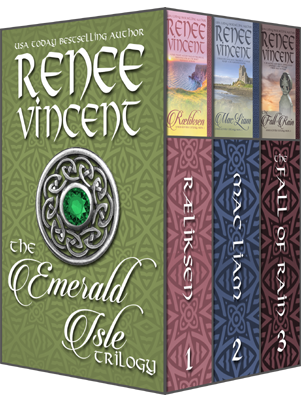 Amazing author Renee Vincent carries her readers off to another place and time, allowing them an escape from their own cares. Filled with love, plot twists, secrets, danger, steamy sensual love scenes, an interesting plot, complex, compelling characters and plenty of wit, this is a story you will hate to see end. If you enjoy this story, you will also want to read the first book in this trilogy, Ræliksen. Mara’s story, which originated in Ræliksen, is continued in Mac Liam. Having read both stories, I look forward to reading the next book in this exciting trilogy. Be sure to get your own copy. You won’t regret it!" "I will admit I was leery about reading this. After all the hype, I was worried I would end up being let down, as is often the case, especially with great historical romances. Boy, was I wrong this time! Mac Liam is everything one could hope for: great in the historical details, good romance, adventure and suspense to entertain, and even pulls off being as good as the first book (always hard to do). 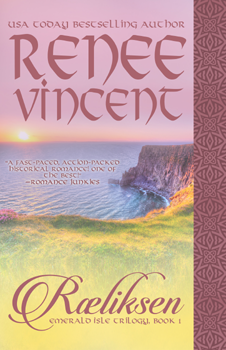 Renee Vincent has a talent, at least in these books, for placing us in the historical setting, explaining without lecturing or going over-board on the details and one comes out having learned about the time and people without realizing it. I am impressed that she also doesn’t use writing tricks like super characters, ie the heroine is a regular female for her time, and people die of mortal wounds when called for, even when we don’t want them to, luckily not in this book. I am very impressed with this series and can’t wait for the next book." "I have to admit, while I was exceptionally fond of Daegan in Book 1 of this series, Breandan held a special place in heart from the time he entered the story. To have a whole book dedicated to this man was sheer delight. If I liked (more than liked, actually) Daegan, I was head over heels for Breandan. As with the first book in this series, action, adventure and soul-melting romance abounds in MacLiam. It was quite natural to achieve a deep emotional attachment to both main and secondary characters alike. Another double thumbs up for Renee Vincent. If you haven't started this series, what are you waiting for?" 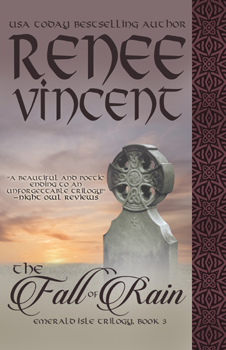 "Renee Vincent weaves another beautiful, intriguing, and mesmerizing tapestry of a tale. The wonderful metaphors, humor, undercurrents, personal agendas, fighting, and irrepressible love blend to pull the reader into this tenth century slice of life, captivating with well-developed characters, incredible descriptions, fast action, sub plots that enhance the main plot. The steadfast, true love Ms. Vincent creates in mac Liam takes one’s breath away. A memorable, satisfying story!" "The twists and turns of book 1 continue along in this installment. Not once was anything given away, you know how when you read a book and say . . “ah, I saw that coming.” That isn’t going to happen here. So, if you enjoy books that keep you guessing and haven’t read book 1, I suggest you go grab it. Then have on hand book 2, because you are going to want to dive right in." "Overall, I loved this book! There were many nights where I could not put the book down. The story felt very real and easily relatable even in modern day times. Plus, I always love good history woven in with a good story. I would definitely recommend this book for anyone looking for a historical romance with twists and turns! I’m looking forward to the sequel!"